THE USUAL COLLECTION of travel quotes tend to focus on inspiration and reflection. These, however, are meant to tickle your funny bone, and remind you of the inherent humor of the journey. Add your favorite funny travel quotes in the comments section below! 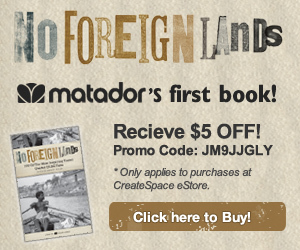 Partly inspired by this article and its thousands of readers, Matador published No Foreign Lands. The book takes 100 of the most memorable quotes ever spoken or written about travel, and juxtaposes them over striking travel images from Matador’s extended community of photographers.